Scottish Opera’s new work Anthropocene has opened to critical acclaim. 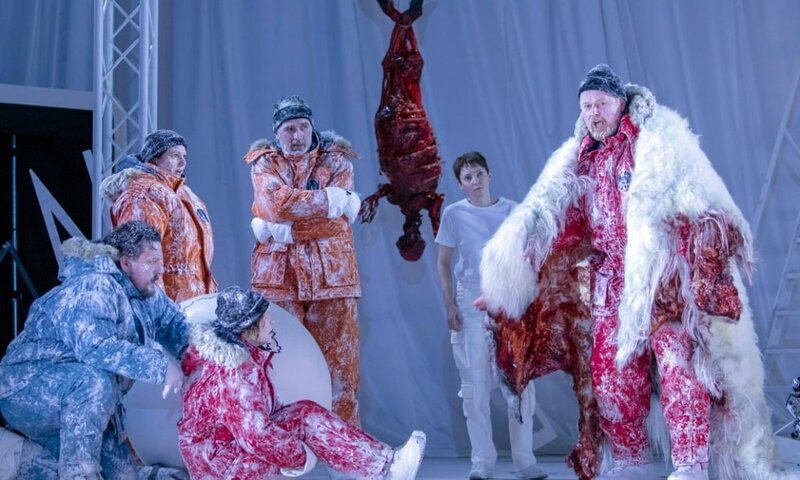 A collaboration between composer Stuart MacRae and librettist Louise Welsh, the operatic psychological thriller is set in the Arctic where an expeditionary team of scientists become trapped. The ground-breaking production is directed by Matthew Richardson and sets and costumes by award-winning theatre designer Samal Blak. Harlequin Reversible Pro specialist performance vinyl floor was selected for the tour. The ensemble cast includes Jennifer France, Jeni Bern and Stephen Gadd conducted by Stuart Stratford.